George R. Grey received his schooling in Scotland and in 1862 emigrated to the United States where he completed his education. He was involved in public works and mining in the United States and in several South American countries until the end of 1878, when he came to South Africa and took part in the Anglo-Zulu War as a lieutenant in a volunteer corps. After two years as assistant borough engineer of Durban he worked on the survey and construction of railway extensions in Natal. In 1884 he moved to the South African Republic (Transvaal) and in January that year he and G.R. von Wielligh* offered their services to survey the railway line from Pretoria to present Maputo from where Major J.J. Machado* had stopped his survey. It is not clear whether the offer was accepted, but Grey remained interested in the project, for in May 1885, in association with the railway builders Firbank Pauling & Co., he requested insight into Major Machado's railway drawings. Meanwhile he was involved in mining at Lydenburg and Barberton until he settled in Johannesburg as a civil engineer in 1887. In 1889 and again in 1892/3 he acted as town engineer of Johannesburg and in the latter year became a citizen of the republic. 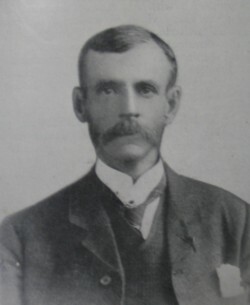 From 1897 he served on the Johannesburg town council. For a few months after the British occupation of Johannesburg in 1900 he again acted as town engineer. Subsequently he headed one of the branches of the town engineer's department until his retirement from the municipal service in 1925. George R. Grey, presumably the same person, served on the council of the Geological Society of South Africa in 1896 only. In 1900 he appears to have moved to Bulawayo, Rhodesia (now Zimbabwe), for in 1900 he was elected a member of the Rhodesia Scientific Association there. He was still listed as a member in 1906. Meanwhile, in 1899, he had explored the northern regions of what is now Zambia, where he discovered the copper deposits at Kansanshi. He described his explorations in an article, "The Kafue River and its headwaters", in the Geographical Journal (Vol. 18, pp. 62-77) in 1901. George R. Grey should not be confused with Dr George Grey* who collected Karoo fossils in the vicinity of Cradock in the 1870's. Geological Society of South Africa. Transactions, 1897, Vol. 2, Officers of the society; list of members. Maki, H. and Haarhoff, J. Municipal engineers in Johannesburg and Pretoria before 1910. Retrieved from http://dspace.nwu.ac.za/bitstream/handle/10394/3955/transd_v5_n2_a7.pdf?sequence=1&isAllowed=y on 21 March 2017. National Automated Archival Information Retrieval System (NAAIRS). http://www.national.archives.gov.za/naairs.htm Documents relating to Grey, George R.
Rhodesia Scientific Association. Proceedings, 1906, Vol. 6(1), pp. 108-109, list of members. Standard Encyclopaedia of southern Africa, Vol. 8, p. 227b. Cape Town: NASOU, 1970-1976.